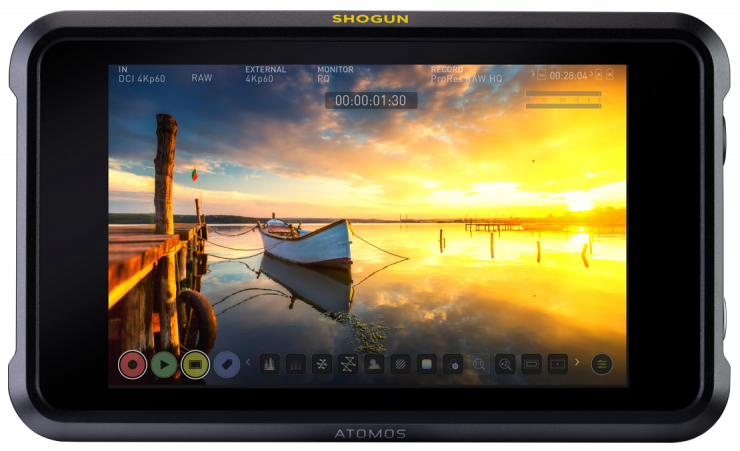 Atomos has just announced the new Shogun 7. A 7-inch HDR monitor, recorder and switcher all-in-one unit with a 1500nit daylight-viewable, 1920×1200 resolution screen with the ability to display a claimed 15+ stops of dynamic range. It can also output Dolby Vision to compatible devices. 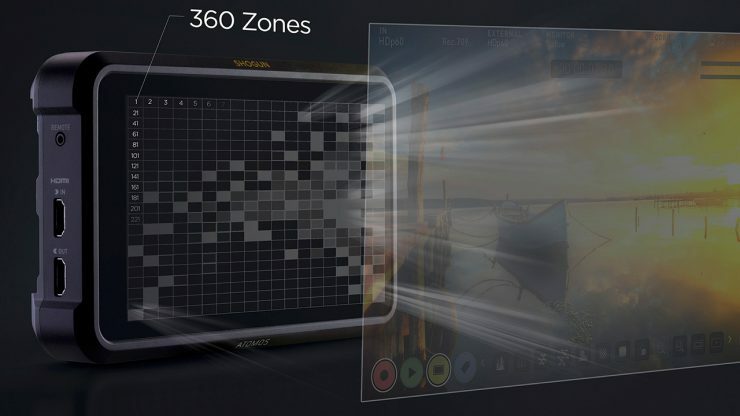 According to Atomos, a new 360 zone backlight allows for the Dynamic AtomHDR engine to show millions of shades of brightness and colour with a claimed 15+ stops of real dynamic range on-screen. The display is also claimed to display ultra-wide colour and 105% of DCI-P3. 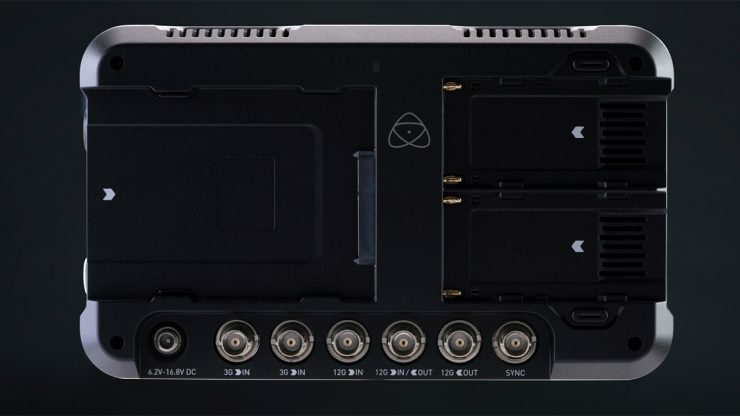 The Shogun 7 has a typical Atomos recorder layout, with two NP-F battery slots, a caddy slot and I/O. It can also be powered by an AC adaptor. Hopefully it runs quieter then previous devices with the internal fans but there are some large vents on top. Hard to say how weatherproof it would be but you definitely don’t want any water dropping in. For the first time, Atomos has teamed up with Dolby to create Dolby Vision HDR “live”. The Shogun 7 uses Dolby’s HDR processing algorithm to deliver HDR content on a Dolby Vision-capable monitor or TV over HDMI. Jeromy Young, CEO of Atomos. The Shogun 7 features 360 individual backlighting zones to display 15+ stops of real dynamic range on-screen. The Shogun 7 can record images up to 5.7Kp30, 4Kp120 or 2Kp240 from compatible cameras in RAW/Log or HLG/PQ over SDI/HDMI. The previous Shogun Inferno could record up to 4Kp60, 1080p240 & Shogun Flame up to 4Kp30. The Shogun 7 can also use the newer smaller AtomX drives as well as older approved SATA SSD drives. Shogun 7 has four SDI inputs plus a HDMI 2.0 input, with both 12G-SDI and HDMI 2.0 outputs. As for recording, it can record to Apple ProRes RAW, ProRes, Avid DNx & Adobe CinemaDNG Raw. 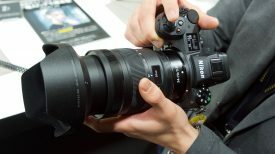 It can record ProRes RAW in up to 5.7kp30, 4kp120 DCI/UHD and 2kp240 DCI/HD, depending on the camera’s capabilities. 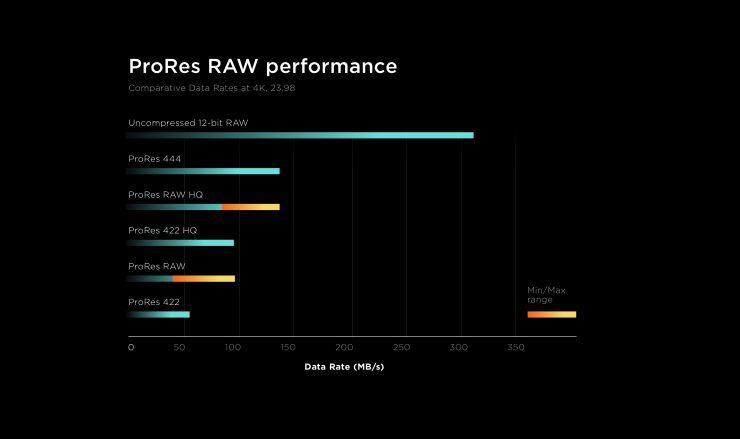 10-bit 4:2:2 ProRes or DNxHR recording is available up to 4Kp60 or 2Kp240. The four SDI inputs enable the connection of most Quad Link, Dual Link or Single Link SDI cinema cameras. 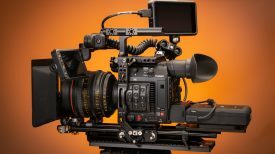 The Shogun 7 is probably the culprit to blame as to why the Ninja V and it’s recently announced SDI module cannot record ProRes RAW over SDI. 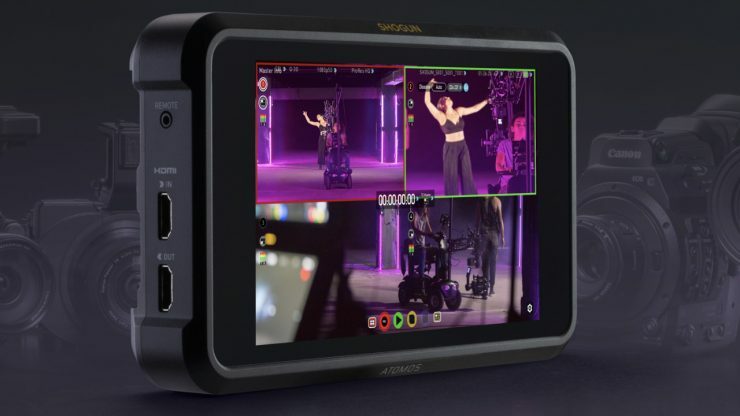 Atomos are protecting their line up and forcing those users who want to capture ProRes RAW over SDI to either buy the Shogun Inferno or the new Shogun 7. As with previous Atomos products, you can use a breakout XLR cable to record audio into the Shogun 7. Record up to 12 channels of digital audio from HDMI or SDI and you can also add 48V stereo mics via the balanced XLR breakout cable. Whether any of the audio functionality has been improved over previous Atomos products is currently unknown. 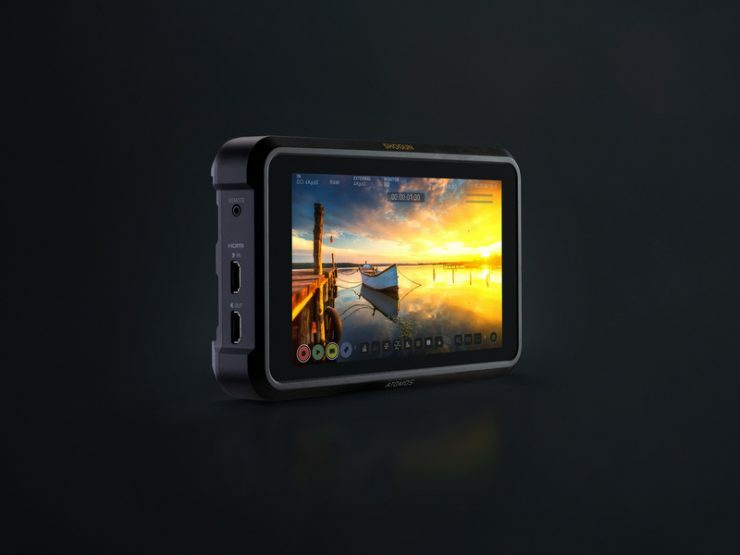 As featured in the Ninja V, the Shogun 7 uses the latest AtomOS 10 and has plenty of monitoring tools including Waveform, Vectorscope, False Color, Zebras, RGB parade, Focus peaking, Pixel-to-pixel magnification, Audio level meters and Blue only for noise analysis. Finally, the Sumo 19 can be used as a multi-camera switcher with asynchronous quad-ISO recordings. This is something that was promised a long time ago. The surprise is it is also available on the Shogun 7. Both units will record each stream up to 1080p60 as well as the program output as a separate ISO, complete with metadata. 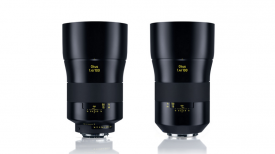 The firmware update will be released shortly for the Sumo 19. Unfortunately, it doesn’t look like the Shogun 7 is compatible with the new AtomX modules. Yes, it has SDI input already but the upcoming AtomX Sync & AtomX NDI would still be useful for many. Especially with the live switching capabilities of the Shogun 7, you could output directly to a connected computer running OBS or similar for a livestream or distribution over NDI network. The Shogun 7 will retail for USD $1499/ €1499 plus local taxes and is set to ship in June. The Sumo 19 retails for $2,495 but is currently available for $1,995 USD. For reference, the Shogun Inferno 7″ retails for $1,299 USD, currently available for $999, and the Shogun Flame 7″ for $995, currently $795 USD.